You see a map that shows territory of Mongolia, of Russia. detailed map of Petropavlovka with gps calibration free download. detailed map of Zheltura calibrated for gps. free map of Zaytsevskiy for gps. interesting map of Verkhniy Burgaltay with gps calibration for gps. actual map of Ulus Khara-Bursun calibrated for you. interesting map of Tokhoy 1 cm to 1 km this. topographic map of Tengerek for Garmin. map of Tangarak calibrated download for free. free map of Sharinovo и OziExplorer calibration for gps. free map of Ryl'zhi calibrated for gps. interesting map of Nizhniye Ichety for you. 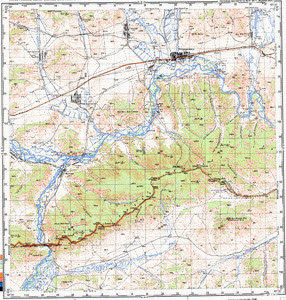 map of Nizhniy Burgaltay 1 cm to 1 km for Garmin. free map of Malyy Naryn 1 cm to 1 km displayed. free map of Namag calibrated download for free. detailed map of Dodo-Ichetuy 1 cm to 1 km displayed. topographic map of Gydenskiy calibrated presented. actual map of Gegetuy with gps calibration this.